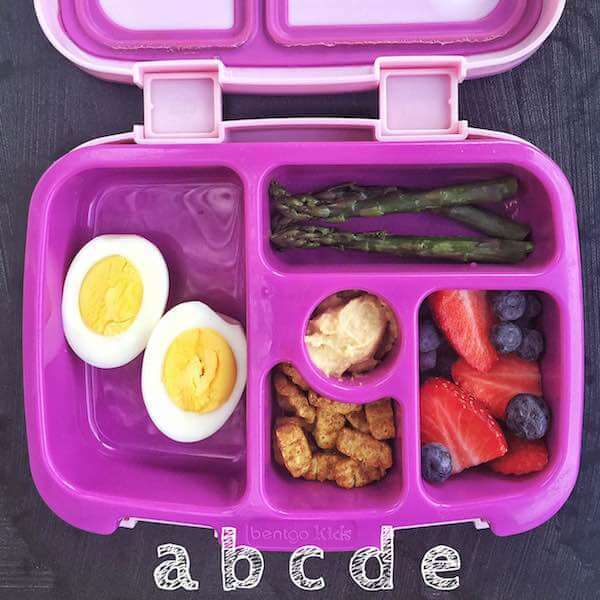 Help your children learn their ABCs with these alphabet lunchbox ideas that feature yummy foods from A to Z that encourage both learning and fun. Lunchboxes have become my things since I began packing them for Ellie many years ago. In an effort to break the monotony, I try to find ways to have some fun while also combining learning. 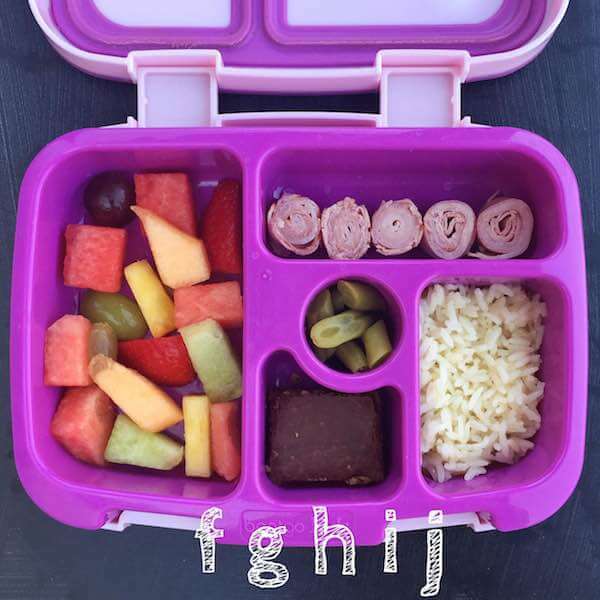 That’s why I took at stab at tackling the alphabet in a #healthylittlelunchbox series on Instagram. 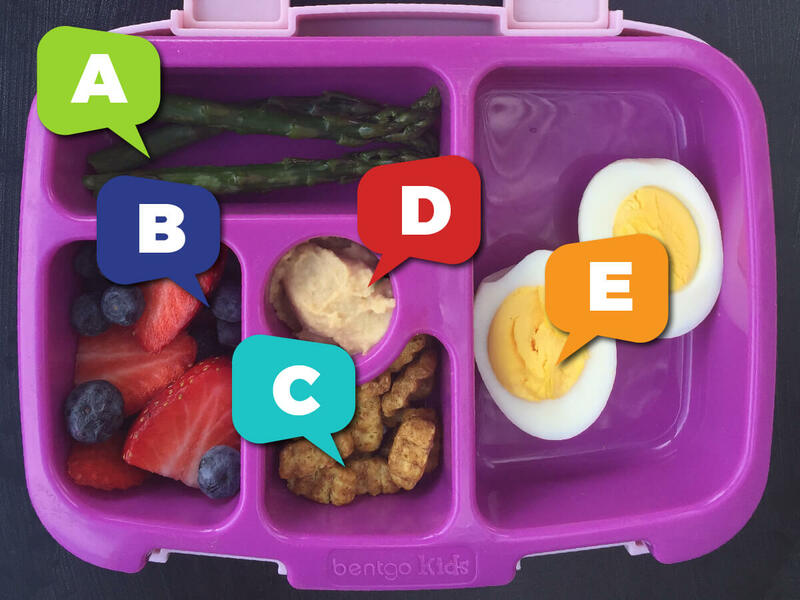 Let’s dive in to each of the a-z lunchbox ideas so you’ll know exactly how the series fared. 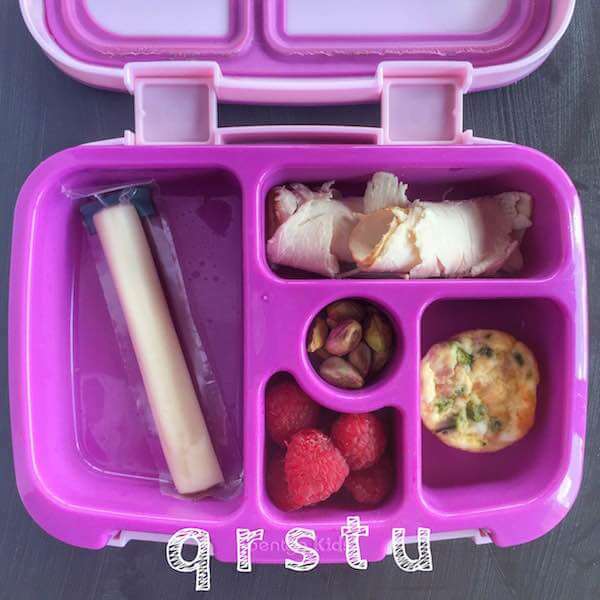 Let me tell you, trying to find healthy lunchbox ideas that fit into the alphabet isn’t easy. Think through letters Q, X, and Z–TOUGH! 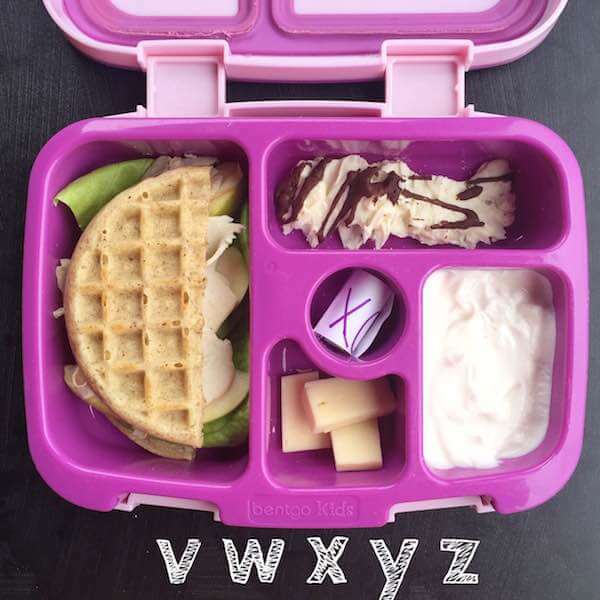 More Alphabet Lunchbox Ideas on the Way! Live I said, I had quite a time finding foods to fit a few letters so I would love to hear your ideas for some of the trickier ones. 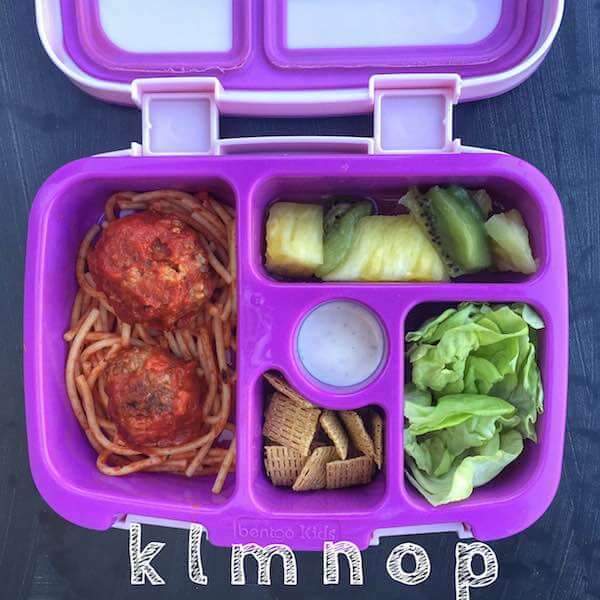 I’m hoping to repeat the alphabet lunchbox series with Frances now that she is in preschool. Such a cute idea Holley! You really are the queen bee lunchbox packer!! How far in advance to you make your girls’ lunches? This summer I have to make lunches and snacks for a 2 year old and 6 year old who have both been eating at school most days. I’m worried about time in the morning to get it all done. 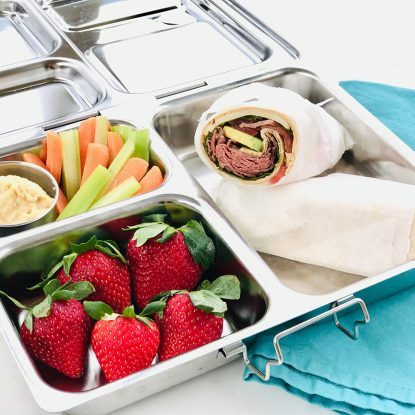 I make them at night but sometimes I will make 3 days of lunches at a time and wrap tight in the fridge. 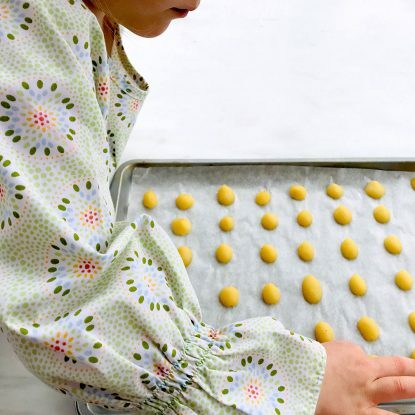 Planning ahead and making at night is certainly easier than doing it in the morning. 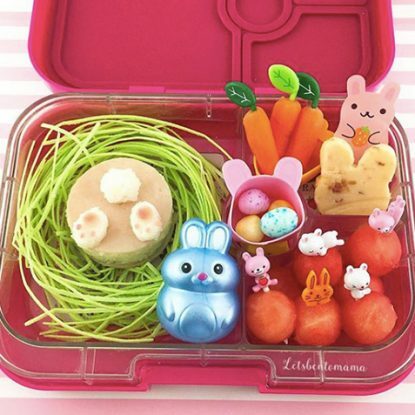 Where can I find this bento box that you use in article?